I am aware there has been some controversy over Nars decision to dedicate a whole collection to photographer Guy Bourdin due to the way he has depicted women in his work in the past. To be honest I am going to refrain from commenting because I don't know enough about him, or his work to pass judgement properly on it's artistic merits. 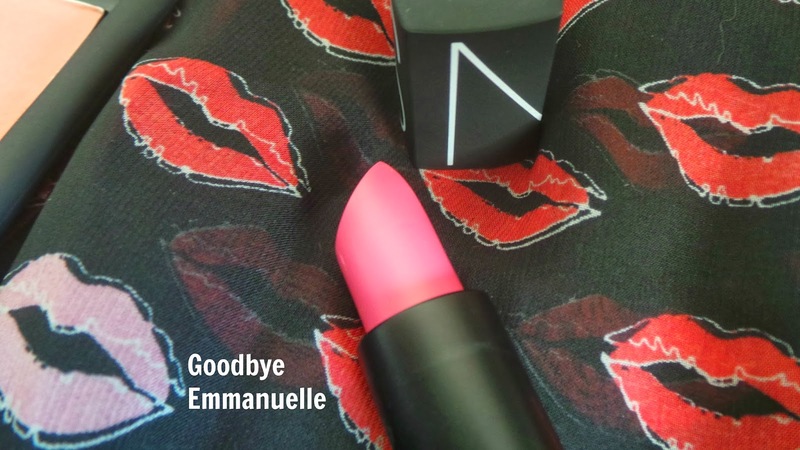 I also don't consider Nars a brand that would shy away from controversy so I don't find it surprising this collection has come around as Guy Bourdin inspired Francois Nars to become a make up artist. 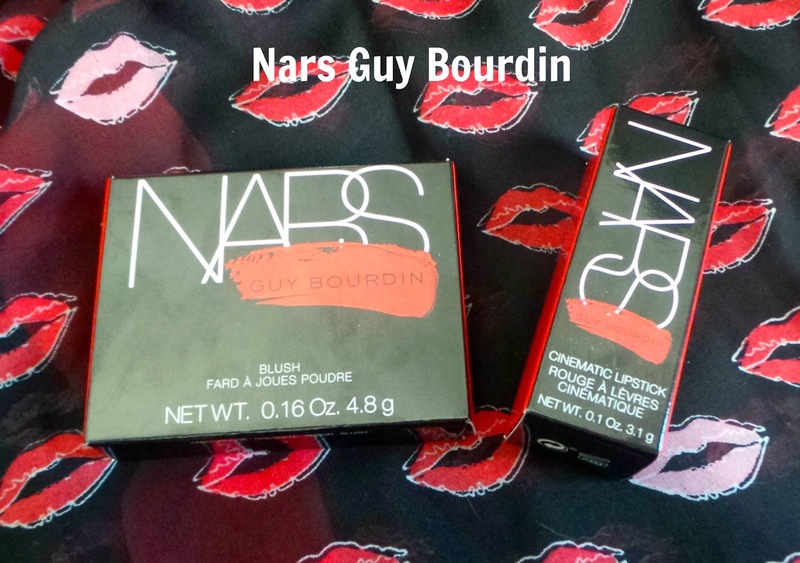 I am a big fan of Nars, I have been for many years now and have multiple items from the whole range. I studied all the items from this new collection and chose only two. Yes the blush palettes are very beautiful and covertable but for me I couldn't justify the purchase given I have a large collection of Nars blushes-some which are featured in the palette. I also find, that when Nars put their eyeshadows or blushes into palette format that they seem to lose the quality. That's my personal opinion but I sold my The Happening palette and will also be blog sale-ing my Fairy Kisses palette as I wasn't impressed with the quality compared to their individual eyeshadows or eyeshadow duos. So after that long introduction let's have a look at the items I picked up. I am absolutely delighted with both of them! I picked up Daydream blush and Goodbye Emmanuelle cinematic lipstick. Both come in standard Nars packaging-which I am not a fan of because it just gets so grubby. The matte black packaging attracts every speck of dust and dirt known to man. A little bit disappointing to be honest, it would have been great if Nars had incorporated a flash of red on the packaging like they did on the outer cardboard packaging for this collection and on the blush palette. Daydream blush is truly stunning. 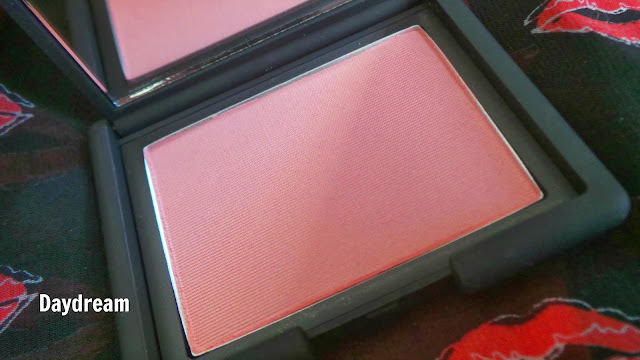 For me this is the perfect day time blush. I'm pale (NW15) and this blush just brightens my skin tone immediately. It's hard to overdo it as it is not the most pigmented, but it is easy to build. However I'm not sure how much this will show up on darker skin tones but I am sure this is a universally flattering colour. It has no shimmer or sparkle and it's a beautiful peachy pink. It's silky to apply with no chalkiness-similar to every Nars blush I already own. It is love. 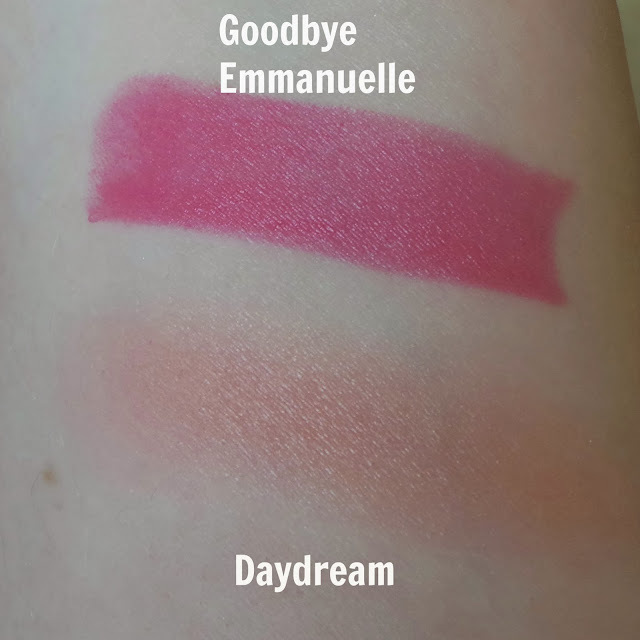 Goodbye Emmanuelle is such a lovely cool toned medium pink with a satin finish. Very similar in formula to the Charlotte Tilbury lipsticks I reviewed here, an almost syrupy texture that sits nicely on the lips and doesn't get on your teeth or bleed outside your lip line. Here I am wearing both the blush and lipstick-I absolutely hate posting photos of myself on my blog and so sorry for the background here! I was trying to take the picture one morning last week and it was really foggy outside so the lighting in the bedroom was terrible. That's my kitchen in the background lol! Am surprised it's a cat free background! Have you picked up anything from the Guy Bourdin collection? I have also just found out I have hit 400 Bloglovin followers which is amazing-thank you! I will have a little post going up about it tomorrow with a little giveaway so keep an eye out for it.